Welcome to all our members, this website is here for you to find out more about the activities, competitions, etc for the year. We actively encourage all our members to enjoy, have fun and always be learning something new when riding and taking part in all the various activities. With Spring Training, Dressage, Cross Country Training, Rallies, Minimus, Tetrathlon, One Day Events, etc. we try to cater for every member. We look forward to seeing you throughout the year! The County Limerick Hunt Branch Child Safeguarding Statement is now available to be viewed by clicking the "Child Safeguarding Statement" tab above. Dressage Training with Tara Oliver and Lucy Cusack commencing 09.04.19 for the next six weeks.Tara on Tuesdays and Wednesdays at Raheen House Ahane. Lucy on Tuesdays and Thursdays at Ballyann Altvilla Askeaton.Enter on line via Calendar Bookings. Detail of Upcoming Minimus and Tetrathlon training can be found by clicking the button below. 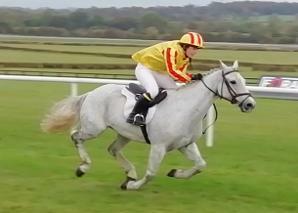 Cross Country Training Ballycahane Equestrian, Tuesday 16th April at 18.00hrs and 19.00hrs.Enter on line. Running Training commencing Thursday 25th 7:30pm, Mun for both Minimus and Tetrathlon. Swimming training has commenced every Monday night at UL Pool.Enter on line. B Test assessment and training,details soon. Enquiries to Liam on 087 7701115. Make sure to like our Facebook for more information and news. Well done to Luke Cahill, Sam Cahill and Sean Alfred who have been selected to train for the Junior Tetrathlon Squad. Check and like our Facebook page for photo updates. 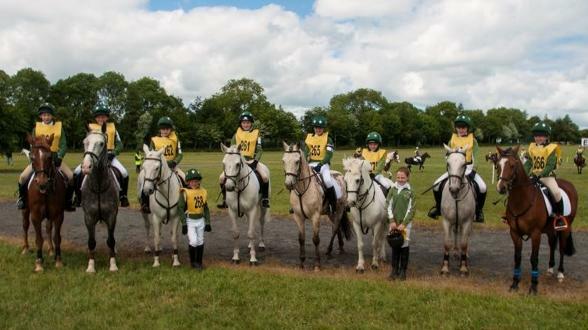 Photos can be forwarded to the Pony Club Phone by WhatsApp. 089 703 3632. "It was a great experience and opened my eyes to the racing world and the lifestyle that jockies live. Over the two days we did fitness tests, rode thoroughbreds, went on simulators and had advice on appropriate diets for a jockey. 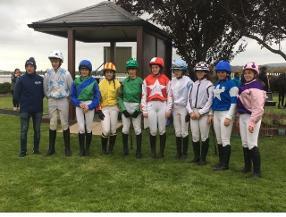 I really enjoyed the experience and would highly recommend it to anyone in the Irish Pony Club interested in racing." 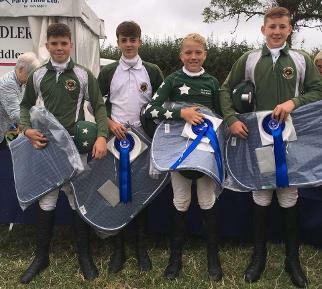 Congratulations to our "Limerick Leaders" team members Elizabeth Wallace, Kara Madden, Emily Heagney and Luke Cahill who were runners-up in the Irish Pony Club Junior Team Eventing Championships at Ballindenisk. Laura Wallace and Lorna Murphy Intermediate individual competitors. Kelly O Halloran Junior Individual Competitor. Sean Alfred,Clara O Halloran and Sonny McCartan our Under 12 team. Well done to you all!!!! 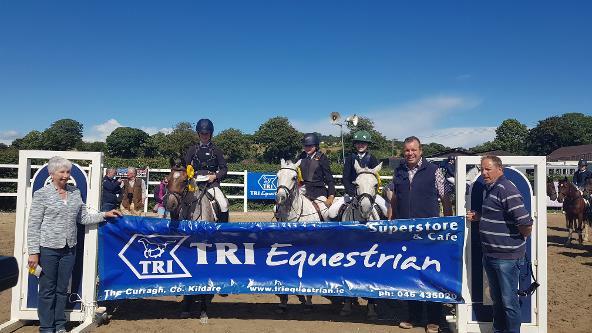 Congratulations to Luke Cahill Champion Intermediate Combined Training and Caoimhe Murphy Reserve Champion Open Combined Training. 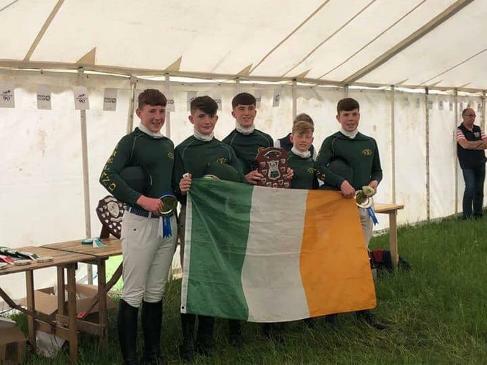 Congratulations to our Boys Junior Tetrathlon team Sam Cahill, Jean Brennan, Jack McMahon and Luke Cahill who came 2nd in the Irish Pony Club Junior Tetrathlon Championships. We are so proud of you boys! Well done also to Luke Cahill who came 1st in the Junior Swim, what a fantastic achievement!! 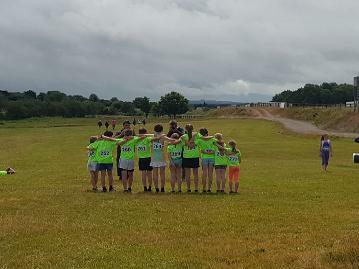 The club was represented in the Senior Girls competition by Alex Stewart, Aoife Duggan McSweeney and Lorna Murphy, in the Junior boys competition by David Bourke, and in the Junior Girls competition by Abbie O'Brien, Zoe O'Brien, Elizabeth Wallace, Kelly O'Halloran, Grace Curtin and Seanna O'Connor Kelly. Everyone had a great competition and we are very proud of all of our club members!! 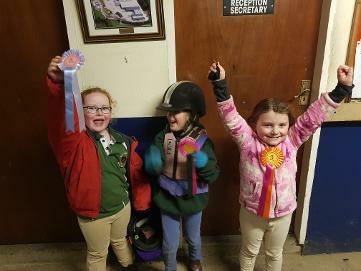 Congratulations to Vivienne Hannon, Carol Ruttle & Zoe O'Brien who came third in the Robbie Bailey at the Irish Pony Club Festival at Barnadown, Co. Wexford. We are so proud of you girls. 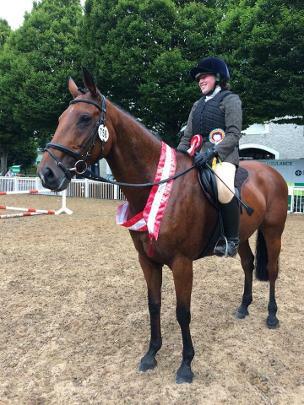 Congratulations to Laura Wallace who was placed 6th in the Open Combined Training Competition. 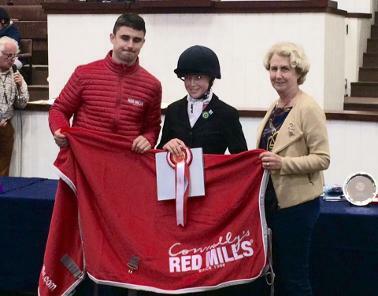 Congratulations also to Blathnaid Ryan, Kara Madden & Emily Heagney who also competed in the Robbie Bailey. 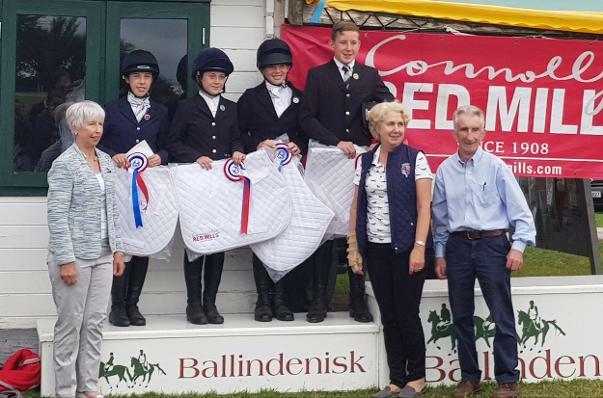 Well done to Grace Curtin, Kara Madden & Emily Heagney who represented the club in the Junior Combined Training competition and Elizabeth Wallace who competed in the Intermediate Combined Trainingat the Festival. 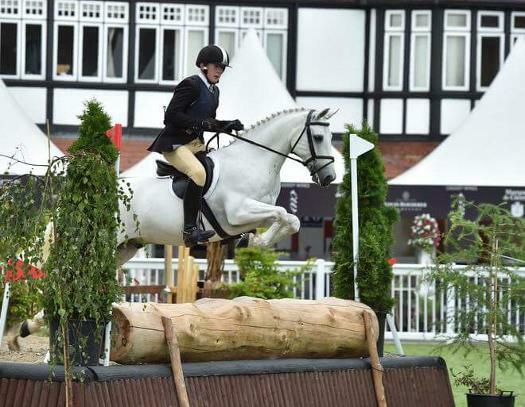 It is fantastic to have our club represented in so many competitions. Make sure to check out our Rallies section for more pics! !